Just under 1,600 hospitals will see bonuses from Medicare in fiscal 2018 under the Hospital Value-based Purchasing Program, according to new federal data released Friday. The results are a slight improvement from last year as more hospitals earned positive payments adjustments. 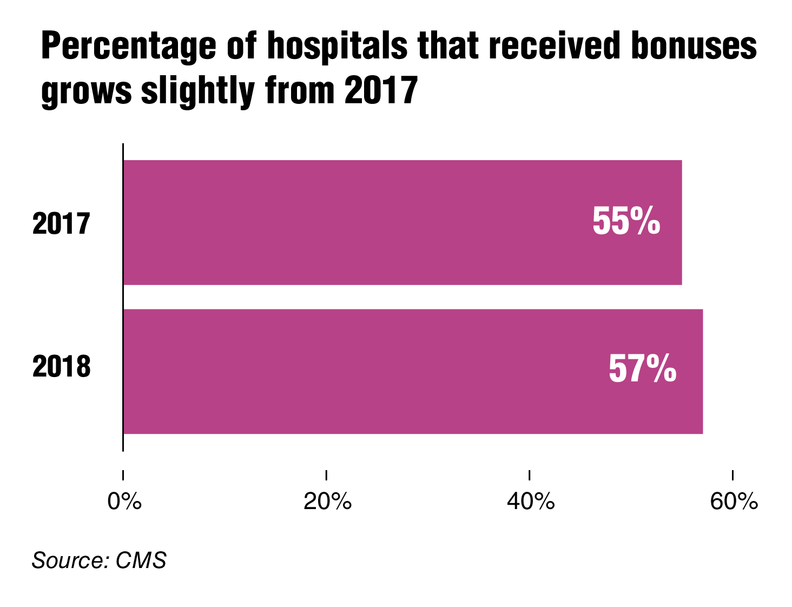 About 57% of hospitals will receive Medicare bonuses in 2018, compared to 55% of hospitals this year. The number of hospitals that saw their payments docked also fell from 1,343 in 2017 to 1,211 in 2018, according to a Modern Healthcare analysis of the data. The total number of hospitals part of the program declined from 2,955 in 2017 to 2,808 in 2018. About $1.9 billion will be available in 2018 to reward high-performing hospitals. The program, which took effect in 2012, ties Medicare payment of roughly 3,000 hospitals to how they improve quality of care. The program is one of several under the Affordable Care Act aimed at moving away from fee-for-service to value-based care. The CMS imposes a 2% reduction to base diagnosis-related group payments for hospitals paid under the Inpatient Prospective Payment System. Medicare redistributes that money to hospitals that receive high scores on patient surveys and quality and efficiency measures. The program tracks how hospitals improve on their own and as compared to their peers. For roughly half of the hospitals in the program, the changes to base DRG payments will be small, in the range of -0.5 to 0.5%. The highest performing hospital will receive an increase of slightly more than 3%, while the lowest performing hospital's payment will be cut 1.65%, the CMS said. In 2017 and 2018, 1,196 hospitals earned bonuses. In both years, 938 hospitals received penalties. This was the first year that the four areas on which hospitals are scored—clinical care; patient- and caregiver-centered experience; safety; and efficiency and cost reduction—were weighted equally. Each area accounted for 25% of the score. Healthcare quality experts say the program doesn't actually improve care and some have even proposed the CMS retire it. 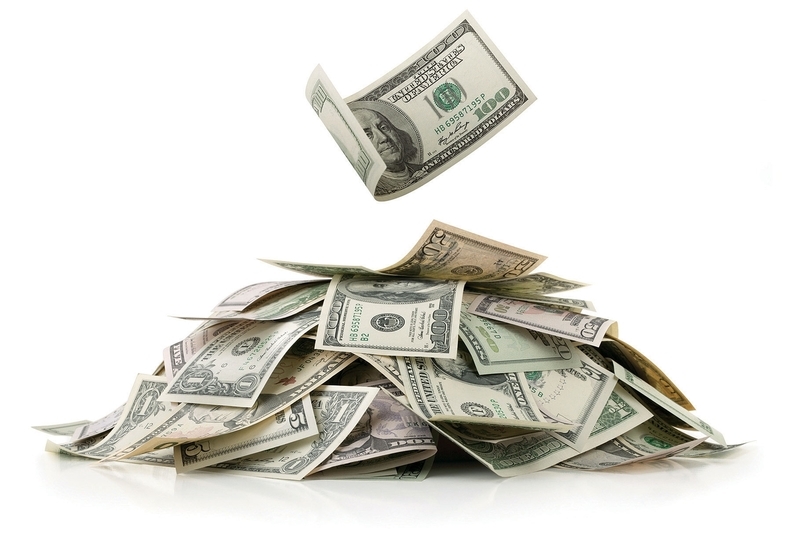 Other critics question how much a less than 2% reduction in payment would motivate providers to improve, especially when the costs to implement value-based care can outweigh any bonuses. The CMS on Friday also announced a few changes to the program for fiscal 2019. A measure that assesses hospital-level quality for the prevention of harmful events at a hospital will be removed under the safety domain. A complication measure for patients who undergo total hip or knee replacements will be added to the clinical care domain.